The program includes a $2500 fellowship award. Up to 8 Fellows are selected for each academic year in a competitive review process; applications are generally due in March. 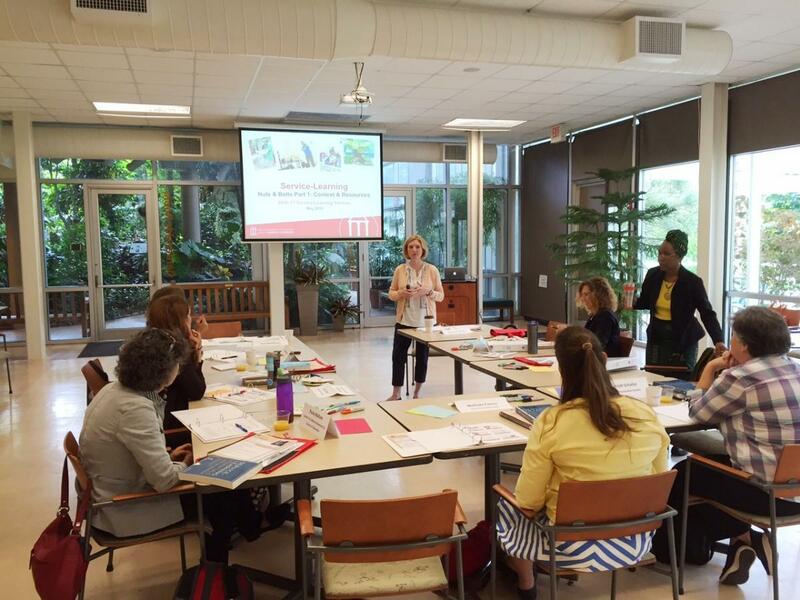 The Service-Learning Fellows Program is supported by the Office of Service-Learning and is open to all full-time UGA faculty members including academic tenure track, academic professionals, public service faculty, lecturers, medical school, and clinical faculty members with an interest in service-learning. Previous experience in service-learning pedagogy or familiarity with service-learning or civic engagement research is not required. See below for examples of past Service-Learning Fellows projects. Applications for the 2019-20 program year are currently available (see below) and due by March 20, 2019. The Office of Service-Learning continues to assess the outcomes of participation in the Service-Learning Fellows Program. Please contact Dr. Paul Matthews with questions about program outcomes. In Spring 2011, participants from 2006-2010 were asked to complete an additional longer-term outcomes assessment; 13 of the 32 eligible past Fellows (40%) responded to this request. o Opportunity to develop new course that exploits my skills and has built-in opportunities for service-learning research with students. o I gained a clearer appreciation for the academic side of service-learning, beyond simply community service, and have better ideas of how to engage students more actively in evaluating their own learning process. o The relationships I have developed and maintained in the community. It makes my contributions to research, teaching, and service more meaningful. o As a result of the wonderful guidance and support from the OSL, I am now deeply committed to service-learning in my courses and I am working on developing ways to make all of my teaching involve a service-learning component. o Education on the scholarship of engagement and the grant award was also significant. o SL Theory to support SL Projects in my discipline. o The ability to work with tenure track faculty from across all disciplines.